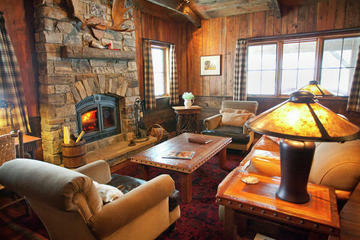 Celebrities love dude ranch vacations! 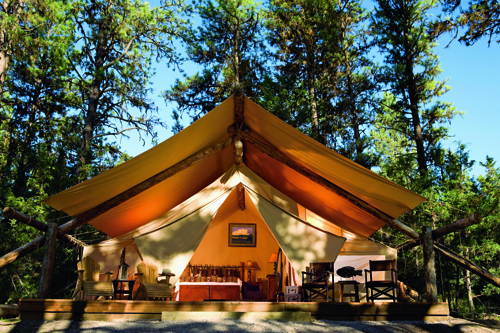 Big-name celebrities need time out from their punishing work schedules, too and an increasing number are heading out to the ranges under the big sky to unwind and re-connect with nature. They seek places where they can take time to reflect, enjoy sporting activities, eat good food and breathe fresh air. They seek solitude, family time and time out from under the harsh glare of the spotlights… the allure of huge open plains speckled with cattle being herded gently by a lone cowboy under a blue sky, campfires, smoky, sizzling barbeques, and luxurious log cabins away from the crowds and media is too much to ignore. 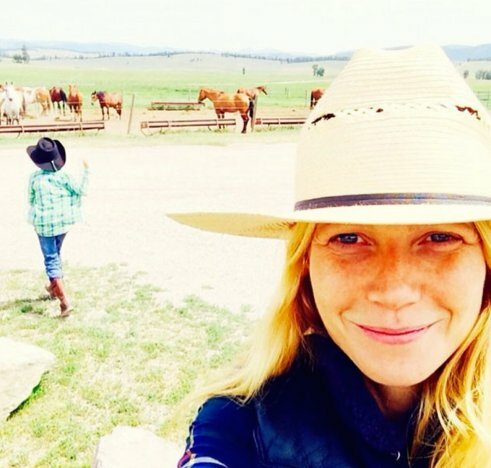 One such fan of the farm is ‘Shakespeare in Love’ A-List actress, Gwyneth Paltrow, who recently visited a number of dude ranches on a trip to Montana. Reviewing each for her website Goop.com. She visited none other than Top50's The Resort at Paws Up, Triple Creek Ranch and The Ranch at Rock Creek writing: “They call Montana ‘Big Sky Country’ for a reason: Interrupted solely by the distant peaks of the Rockies, the horizon here goes on forever, holding dominion over horse ranches, National Forest Service lands, and a whole lot of cattle. Eager to switch our cell phones off and get our cowgirl on, we canvassed the Western edge of the state for the perfect dude ranch experiences.” Gwynie also posted several selfies on horseback amidst the magnificent mountains of Montana. 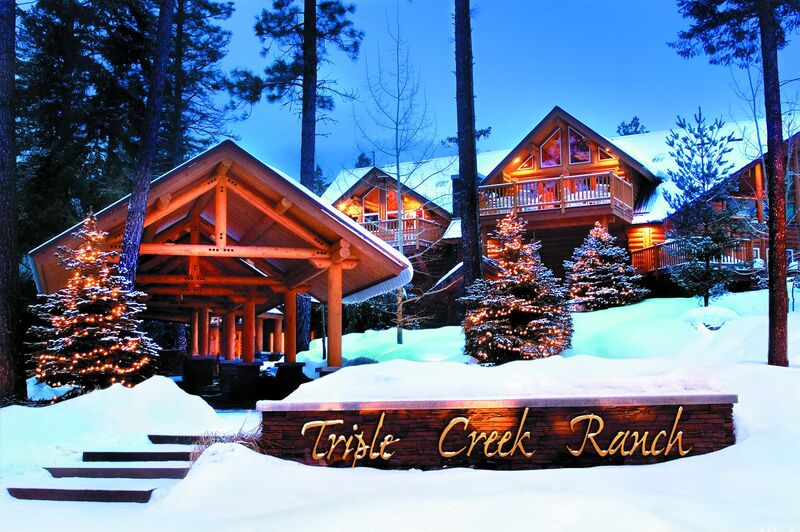 Gwyneth writes that the 26,0000 acre Triple Creek Ranch “is nestled up against Trapper Peak, meaning that the cabins look out on forests, creeks, and elk herds, which gravitate to the lands since they don’t allow hunting. Beyond trail riding and fly-fishing (it’s an Orvis-endorsed lodge, which apparently means quite a lot to fly fishermen), you can learn how to pen cattle, you can hike for days and participate in all-day cattle drives. “The Ranch at Rock Creek is what you’d imagine in your mind of what an Old West homestead should look like,” the actress pens. “It’s really, really well done, all-inclusive; you can pick from a range of activities every morning, so if your kid falls in love with a particular horse, he can ride that horse every day.” Another famous fan of The Ranch at Rock Creek is ‘Blue Crush’ actress, Kate Bosworth. She tied the knot at the gorgeous guest ranch, hosting a hoedown-themed rehearsal dinner with live country music and details like bandana-style napkins. Some celebs have even gone as far as to make the mountains and plains one of their many homes, buying a ranch to retreat to for their downtime. More fans of Big Sky Country include ‘24’ actor, Kiefer Sutherland who has several horses on his 900-acre ranch and TV host, David Letterman who bought a 2,700-acre ranch 35 miles outside of Choteau in 1999. Letterman also owns a ranch in the Ruby Valley. Australian actress, Nicole Kidman and her husband, country music singer Keith Urban, employed a property scout to find them a rural retreat in the remote New South Wales countryside. They are reported to have paid AUD$6.5 million for a 45-hectare farm, with a double-storey 1878 Georgian mansion and grounds, despite never having visited the farm themselves. And Nicole’s ex-husband Tom Cruise is also a fan of the ranching lifestyle. In 1995 he bought his luxury 298-acre property located just 12 minutes from the historic resort town of Telluride, Colorado. The ‘Top Gun’ A-Lister’s property boasts seven bedrooms, nine bathrooms and access to tens of thousands of acres of National Forest. However, the property went on sale in 2014 for a mind-blowing $66 million! There are many other famous faces who have chosen ranches as their preferred vacation destination and, with so many luxuries available to the discerning holidaymaker, such as spa packages and gourmet dining, designed to refresh and recuperate, it’s no wonder they return time and time again – some even buying into this wonderful lifestyle. Come see for yourself!